Jane has been a model in Boston for runway, print, television and advertising for 35 years and continue to work in the industry today. She is on the Board of Trustees at the School of Fashion Design and works as a Speaker, College Recruiter and Representative for the school. 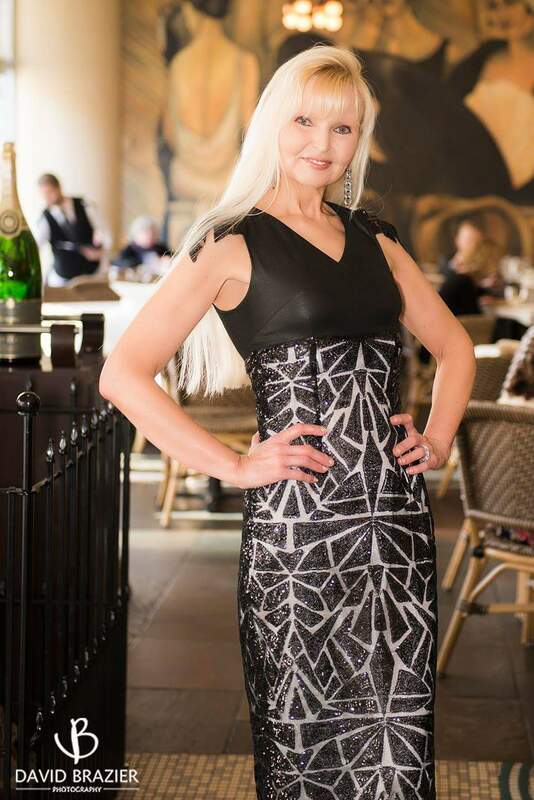 As an accomplished Fashion Show Producer she organizes several successful fashion shows throughout the year. Jane also serves as a professional Fashion Consultant for established and emerging designers. As a graduate of Boston College Jane now serves on their Alumni Arts Council, in that capacity she helps to advise and connect students with careers in the fashion industry. WHAT GIVES YOU THE MOTIVATION? The incredibly talented individuals I meet in our local fashion community motivate me. I am proud to work with so many amazing people who make every single one of my jobs and projects exciting. There are so many photographers, designers and models I admire and enjoy working with. I would love to elaborate on a photo shoot Jay Calderin organized a few years ago as part of Boston Fashion Week. It brought together a group of seasoned models who wore outfits from established designers, including Denise Hajjar, Firas Yousif, David Joseph, Alfred Fiandaca and James Hogan. They were photographed by talented photographer Tracy Aiguier. I would like to coordinate a series of shoots collaborating with veteran models and new faces wearing garments from well known designers as well as emerging designers, like Jeffrey Dickerson and Kinda Touma. I envision working with photographers such as Iggy Barskov, Clark Linehan, David Brazier, Jan Archee Bloch, Todd Lee and many more. I think it would be a wonderful portrayal of the level of talent that existed in Boston in years past and still exists today. There are two people who inspire me most in Fashion. The first is my longtime friend Marilyn Riseman who passed away. She was a fashion icon in every sense of the word. She was passionate about fine clothing, especially designs that made a statement and had an edge to them. She had an incredible sense of style and created a signature look for herself that became known to everyone. She was a huge supporter of the local fashion community and always made time for designers to give them advice. My second inspiration is Yolanda Cellucci. She is a legend in the fashion industry. Her style is all about glitz and glamour. She walks into a room in her all white ensembles and everyone notices and admires her. Yolanda inspires me with her fashion sense, energy and incredible giving heart. I hope when I'm in my 80's I will be respected like Marilyn and Yolanda and still have an incredible sense of style.
. The balance between creativity and commerce can be difficult. I am kind of a perfectionist and spend a lot of time making sure the work I do is high quality. I sometimes spend more time at work than I am compensated for but it doesn't bother me in the least. I enjoy everything I do so much that it never feels like I am working. Fashion is such a big part of my life. In 5 years I hope to continue on the same path. I look forward to working at all of my current positions as well as becoming involved in a few new endeavors. I expect to be working with more new designers while seeing those I am fond of gain further success in the industry. I'm not sure if I will still be modeling but who knows, I could break a record.